On this episode Zac and Ben add another long awaited installment to the "Jurassic Arc" with a discussion on Jurassic World: Fallen Kingdom. 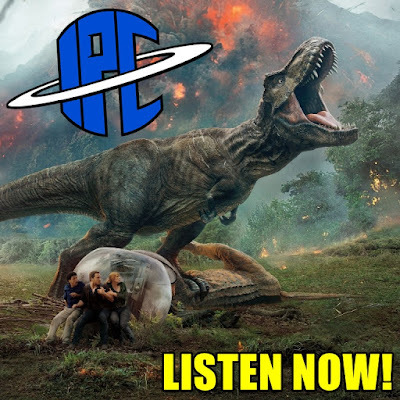 The guys bring along great friend, and fellow Jurassic Fan Mondo from Star Wars Wastelands to break down the film in full, first beginning with some fresh, spoiler-free reactions. Later they dive into their likes an gripes with the film, its heavy action, colorful cast of cast, terrifying dinos, and it's stunning ending which changes the Jurassic franchise forever. In addition, they react to the big news out of San Diego Comic Con that Star Wars: The Clone Wars will be returning, and they take a moment to pay tribute the late, great Jon Schnepp. Listen for all that and more!